Hope you all enjoyed your weekend. Ours was a good one, busy but good. We had Jordyn's boyfriends parents over for dinner to get to know them a bit better. It was lots of fun. 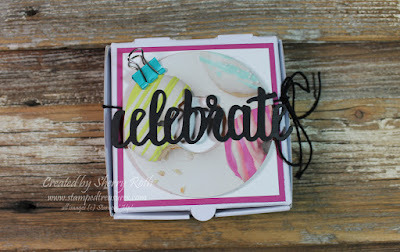 I have a super cute project to share with you today, inspired by Ronda Wade. She made the cutest pop up gift card holder using one of our mini pizza boxes and I knew I wanted to use the idea to create a gift card holder for Jordyn's birthday. 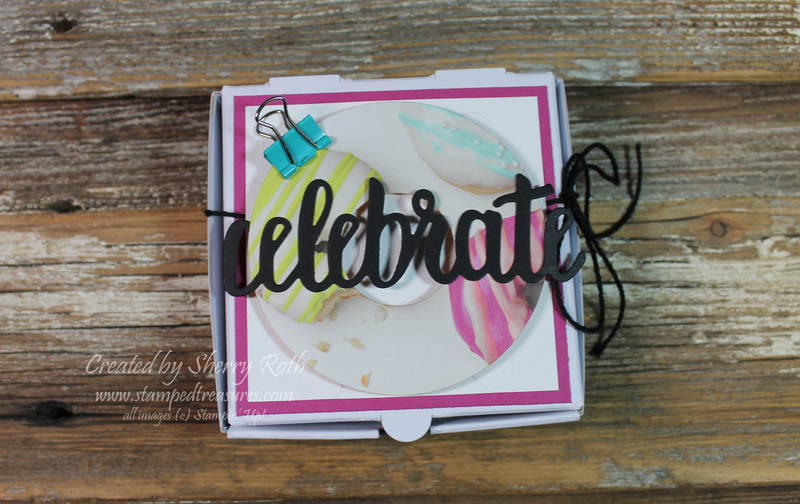 I wanted it to coordinate with the card that I made her, which I shared in Friday's blog post, so I stuck with the same product suite to decorate the box. 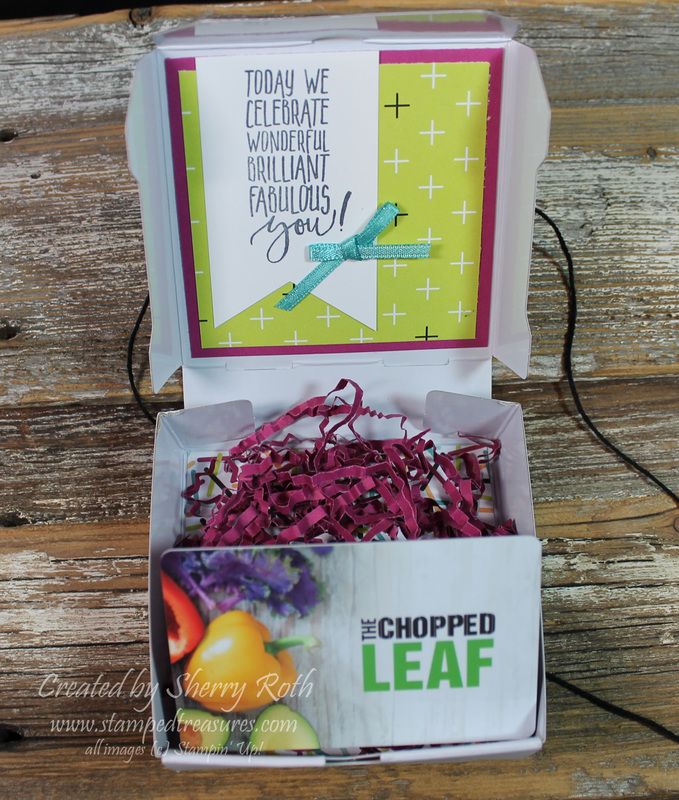 To create the pop up mechanism you score a 1" x 7" piece of cardstock at every 1". Then accordion fold it and attach it to the center of the pizza box bottom using dimensionals. Then fill with shreddie and add your gift card to the top of the mechanism with dimensionals. The trick is closing the lid. You have to hold the gift card down to get the lid closed in order for it to pop up. I found using a paper piercing tool to hold it was easier than my finger. When you open the box, the gift card pops out at you. It's pretty cute!